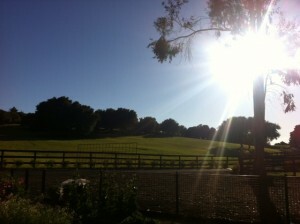 The World of Pinot Noir marks its 14th year at its new venue in Santa Barbara California. At this time of year we start thinking of spring. Over the years we have had the pleasure of attending many food and wine events and a few stand out at that time of year. We have visited the World Of Pinot Noir on many occasions and has to rank pretty high as one of our personal favorites. This year marks the 14th year for the World of Pinot Noir , a fun , 2-day event celebrating that special varietal . 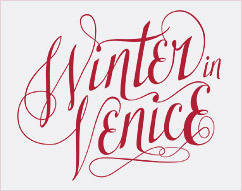 This year’s event will be held February 28-March 1, 2014 at the Bacara Resort and Spa in beautiful Santa Barbara California. Previously, World of Pinot Noir was held in Pismo Beach. This year’s new venue is not only a luxurious feast for the senses, but also recognizes Santa Barbara County’s wine country as a place that introduced many to Pinot Noir, as 2014 will be the tenth anniversary of the iconic movie Sideways. The effect of Pinot Noir on film and vice-versa will be explored via a panel comprised of participants from Sideways as well as a more recent wine-related film, Somm, in a Saturday seminar titled “Hollywood & Wine”. The main focus of the event, however, revolves around the people and places of Pinot Noir. The world’s most important wine-growing regions will be represented at seminars, dinners and Grand Tastings. California’s coastal appellations will be well represented, joined by winemakers bringing their Pinot Noirs from Oregon, British Columbia, New York’s Finger Lakes, Spain, New Zealand, Australia and more. The epicenter of Pinot Noir is of course, Burgundy France who will be well represented at the 2014 event. Maison Louis Jadot’s winemaker, Frédéric Barnier will pour a selection of wines from the Beaune 1er Cru Clos des Ursules Vineyard tasting seminar on Friday, as well as hosting an intimate dinner on Saturday evening. WOPN guests can explore the Insider Wines of the Cote d’Or on Saturday with French Wine Society educator Don Kinnan, who will lead participants through a tasting of wines from that hallowed region. In addition to these intimate events, attendees at the World of Pinot Noir are invited to “taste the world” at two Grand Tastings, which include wines from hundreds of international and domestic wineries. You won’t go hungry with tasty bites from Chef David Reardon’s culinary team, including an internationally themed dinner on Friday evening. Jump right in the first day with Burgundy and Oregon: Parallels in Latitude: a Look at 45º North. Exploring the wines of Oregon’s Willamette Valley and Maison Louis Jadot’s Beaune 1er Cru Clos des Ursules vineyard. Moderated by Katherine Cole. The seminar pairing is followed by a 3 course lunch, paired with the wines. Then enjoy Pinot Noir by the Sea Grand Tasting - A tasting of Pinot Noir from more than 100 world-wide producers, overlooking the Pacific Ocean and complemented by wine country appetizers and a full array of cheeses from C’est Cheese. As the evening approaches don’t miss the International Dinner. Chef David Reardon and his Bacara Culinary team will team up with Pinot producers for an incredible internationally focused 5-course meal complemented by the exemplary wine service always provided by a team of sommeliers. 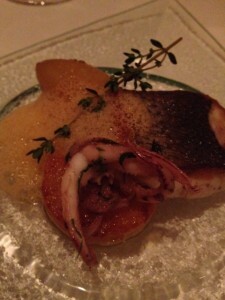 Or join highly allocated Sea Smoke Cellars Dinner in the Miró Cellar. This will be an intimate dinner featuring the wines of Sta. Rita Hills’ Sea Smoke Cellars. And if you are a movie buff, the event will feature screenings of Sideways and Somm throughout the day in the Bacara theatre. After a very busy first day, stop in at The Insider Wines of the Cote d’Or. Enjoy boutique producers of the Cote d’Or region including a look at the mountain of Corton, the greatest expanse of Grand Cru vineyard acreage presented by Don Kinnan, followed by a 3-course lunch complemented by many of the wines presented earlier. 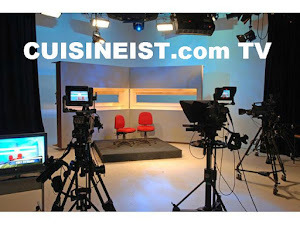 A very entertaining event will be Hollywood & Wine. Panelists will explore why Pinot Noir has become such a Hollywood star. It’s Sideways vs. Somm!. Lunch will be provided by non-other than Frank Ostini of the Hitching Post II restaurant (as featured in the film) and moderated by Sara Schneider. In Las Vegas This Holiday Season ? 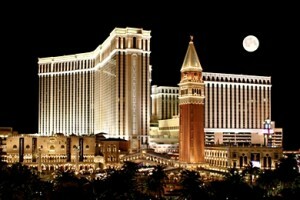 MGM Resorts Has A Tasty Line Up For You . This season the culinary all-stars of MGM Resorts International are celebrating the season with festive cuisine at Bellagio, ARIA, MGM Grand, Mandalay Bay, Monte Carlo, The Mirage, New York-New York, Luxor, Excalibur and Circus Circus in Las Vegas From signature dishes to holiday classics and seasonally inspired cocktails, these offerings are sure to bring cheer to all. 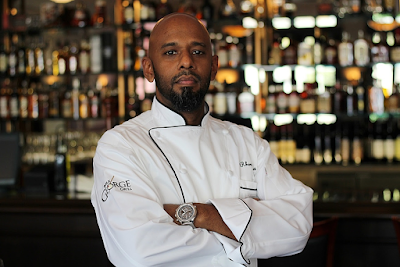 Chef Michael Mina will unite his signature cuisine with exquisite delights at MICHAEL MINA Bellagio by offering the renowned Lobster Pot Pie with seasonal vegetables and brandied-lobster cream followed by a dessert of Pumpkin Tart with whipped Chantilly cream. Jean Georges Steakhouse at ARIA presents Christmas Day guests with mouthwatering Lobster Bisque with pearl onions, smoked paprika and herbs followed by an Apple and Pecan Sticky Bun for dessert. In the spirit of the season, Fiamma Trattoria & Bar at MGM Grand will feature a winter butternut squash soup with velvety crème fraiche and crispy speck, an authentic Italian bacon, as well as Wild Mushroom Ravioli lathered in warm parmesan fondue. Those looking to spend the holiday at a classic steakhouse will enjoy The Steakhouse at Camelot at Excalibur where hungry guests have the choice between a juicy Oven Roasted Free Range Turkey Platter complete with mashed potatoes, giblet gravy, seasoned asparagus, sweet potato casserole and cranberry sauce, Roast Prime Rib of Beef or Grilled Atlantic Salmon. The Steak House at Circus Circus will present a holiday menu including tender Mesquite-broiled Petite Filet Mignon and succulent Australian Lobster Tail, served with chef’s fresh vegetable of the day and guest’s choice of garlic mashed potatoes, baked potato or wild rice blend. A festive Eggnog Crème Brûlèe French Toast with spiced rum and cinnamon butter is the perfect toasty treat available at THEcafe at THEhotel at Mandalay Bay. To top it all off, holiday treats can be found at Roasted Bean at The Mirage where guests can indulge in Chocolate Candy Cane Parfaits or a traditional Yule Log dessert. Sweet delights also may be found in liquid form at several bars and lounges at Monte Carlo including Hit Lounge, Ignite and Score. The Hot Buttered Rum is full of winter flavors made from Pyrat XO Reserve rum, Monte Carlo’s house-made hot buttered rum mix, warm apple juice, fresh whipped cream and a hint of ground cinnamon to round out the perfect holiday drink. Before we look at the wine we took a look at the vineyard history, the region and the people behind it. Ventisquero began making wine in 2000. Unlike other wineries in the area they are led by a young, creative team of entrepreneurs whose mission is to create distinctive, high quality wines. In a word, this young eager team strives challenge the status quo, always searching for unique and different ways to accomplish their goal to create great wines. 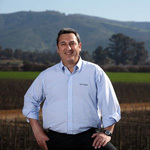 Under the guidance of head winemaker Felipe Tosso, the winery was built in the Coastal Maipo Valley, Casablanca, Leyda and Colchagua . Felipe Tosso is the craftsman behind GREY, involving himself in every detail of production. He works the vineyards, selects the fruit, controls fermentation, and oversees the 18-month ageing regimen for each of the wines. Single Blocks from Maipo Alto, Casablanca and Apalta make GREY a rarity in the world of wines. After looking at the winemaking it was now time for the panel to get to work and put the wine to task. 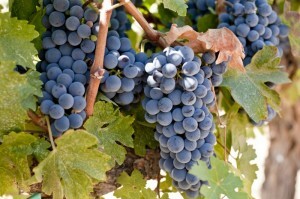 The Vina Ventisquero Carmenere 2011 is interesting in that only 50% of the grapes are crushed. A pre-fermentive maceration is carried out at 8C for 5 days. The Carmenere is aged 18 months in French Oak barrels, 33% of them new and 66% second and third use. The wine is then bottle aged for 8 months. In the glass the wine showed hues of purple to garnet and medium bodied. On the nose, blueberry and black cherry are prominent giving way to wet earth and spice. On the palate, big flavors of blueberry and cherry tantalize the palate followed by pepper, earth and slate, ending in a long finish with light feminine tannins. This Vina Ventisquero Carmenere 2011 is a beautiful blend of 97% Carmenere and 3 % Petit Verdot and nicely balanced acidity. Drink the Vina Ventisquero Carmenere 2011 now or age 10 years when it will become more complex over time. Look for this Carmenere , at $23.99 it is affordable and enjoyable. Life was certainly beautiful at the first Life is Beautiful event at the continuing evolving downtown area of Las Vegas. Arriving at the VIP kickoff event we really did not know what to expect. Our first hint of what we would be experiencing that evening were tantalizing aromas of proteins on the grill, light white smoke summoning us to explore with our palates what our nose was already telling us. This downtown extravaganza showed off the musical talents of 70 bands and DJs that drew standing room only masses of dancing, peaceful, fun-loving fans of all ages. 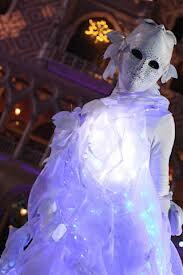 Two Ferris wheels and Cirque du Solei performances kept attendees busy all day and into the night . In addition to the music and other events, Life Is Beautiful teamed up with Wirtz Beverage to feature wine tastings, a beer garden with live music and an Alchemy Village where mixology experts poured creations from their very talented beverage team. The Culinary arts were a big part of the multi-day celebration the culinary village was located in the heart of the festival and ground zero to many world’s best chefs and restaurants. These chefs and over 50 restaurants provided gastronomic delights that made palates dance from the incredible dishes served all day and into the evening hours when renowned band’s tunes filled the air. Over two incredible days, 20 of the most highly regarded chefs in the world showed their culinary skills live on a Sub-Zero Wolf, Westar Kitchen & Bath stage. These demonstrations featured celebrity Chefs such as Scott Conant, Johnathan Waxman, Hubert Keller, Cat Cora, Jet Tila ,Todd English and the two hot tamales themselves Susan Feniger and Mary Sue Milliken as well as others who shared their kitchen secrets with eager guests. 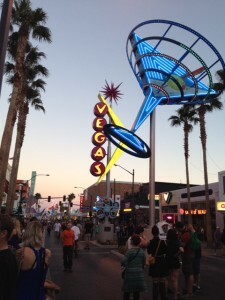 Tony Hsieh, over the past few years has transformed downtown Las Vegas into a vibrant community abuzz with boutiques, locally owned restaurants, bars and of course the Zappos headquarters. The good news for the area is the inaugural event sold 40 percent of tickets to Las Vegas residents, most of whom have not spent much time downtown. After attending the festivities, we have no doubt Las Vegas residents will be spending much more time exploring what the area has to offer. 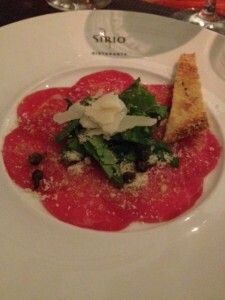 A evening of classic dishes and iconic wines with Sirio Maccioni at Sirio Ristorante in the Aria Resort . 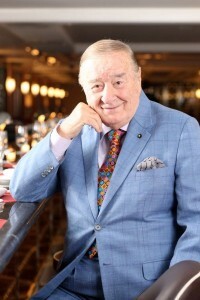 Long one of Manhattan’s most celebrated restaurateurs, Sirio Maccioni has wined and dined high society in New York for nearly half a century. In March of 1974, Maccioni opened Le Cirque in the Mayfair hotel. Le Cirque was the first privately owned hotel restaurant in the city and quickly became the hub of café society in New York. 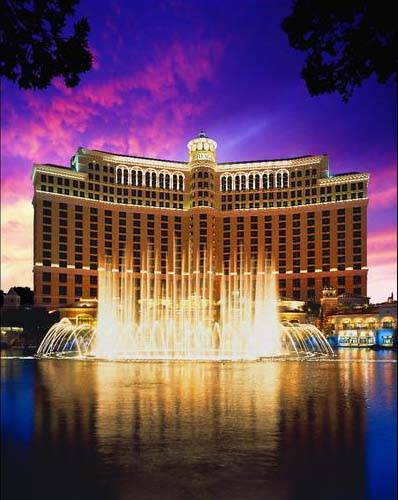 In 1998 he opened Circo and Le Cirque in Las Vegas’Bellagio Hotel.Then In 2009 Maccioni along with his sons opened their third Las Vegas restaurant, Sirio Ristorante at the Aria Resort and Casino here in Las Vegas. 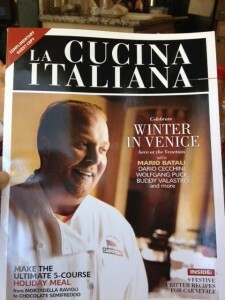 No stranger to accolades , Maccioni has received numerous honors and accolades including the coveted James Beard “Restaurant of the Year” award, the Impresario dell’ Anno (Entrepreneur of the Year) award at Affreschi Toscani, a festival in Tuscany and being selected Father of the Year in 2002 by the National Father’s Day Committee. 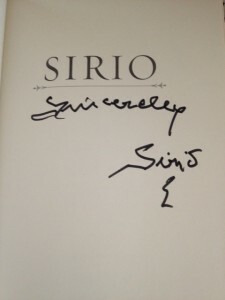 We have received many invitations to dine in our years as journalist from tops in their fields, when we were asked by Sirio Maccioni to join him at Sirio Ristorate ,humbled b y the prospect we accepted . Walking into a very busy Sirio Ristortate were were greeted by the always pleasant General Manager Carlo Cannuscio and his staff. A few feet away, sitting in a chair poised like a king on his throne ,there he was ,the man ,the legend, Sirio Maccioni waiting with a smile and an outstretched hand of greeting . Sitting at the Chef’s table overlooking the pristine kitchen “a buzz “with activity we began a culinary expedition of epic proportions. After opening a lovely bottle of GAJA we began with our appetizer , Carpaccio Di Manzo .This traditional tasty dish of beef carpaccio ,lemon oil dressing ,fried capers and a shaving of parmesan cheese was the perfect way to start. The suggested Vermintino , Rocca Di Frasselino , Sirio, Tuscany 2011 was a nice touch , picking up on the richness of the dish. Seeing a antipasto and squash soup we just had to indulge as we listened intently to Siro recount his culinary pedigree from hotel training programs in Paris and Hamburg , apprenticeships in Montecatini and Paris and a variety of positions at hotels and restaurants in Italy, France, and Germany. A bottle of Rosso , Rocca Di Frassinello , Sirio, Tuscany 2009 signaled the beginning of yet another delight from the kitchen. 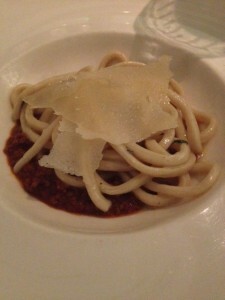 Of course, being at Sirio, our treat of Pici Toscani Al Ragu, Di Carni was a must. This mouthwatering hand rolled spaghetti with three meats ragu was a gastronomic delight. 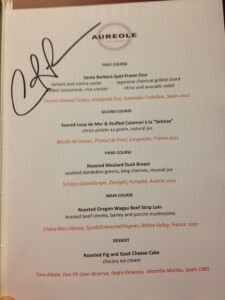 Sirio kept us entertained with his one-of-a-kind sense of humor as Carre’ D ‘ Agnello arrived at our table. 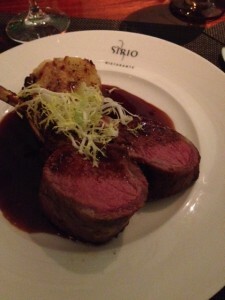 A succulent Roasted Rack of Lamb with creamy potato fennel gratin and garden vegetables was a perfect example of why Sirio and his world class restaurants have been at the top of their game for decades.The exemplary Chianti Classico, Castellare , Tuscany , 2011 married with the layers of flavors of the dish that will soon not be forgotten. Gastronomically satisfied by signature dishes, classic wines and a renowned host, we settled back a little as Sirio engaged us in a lively conversation. When asked about retiring, he smiled, leaned back in his chair and said “Me, retire? I am too busy to retire”, we could not have been happier to hear that. Sirio has always been “hands on “and has no plans to stop. He still has fiery passion even after all these years. 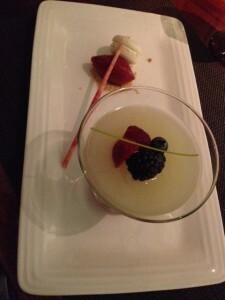 Our experience would not be complete without a Panna Cotta Tricolore and house made Berry Cello 2013.Enjoying a cappuccino as Sirio singed his namesake book “Sirio Maccioni” made the evening one we will remember for a very long time. WINE OPINIONS RESEARCH SHOWS U.S. TRADE READY TO EXPLORE AUSTRALIA’S REGIONALITY, DIVERSITY AND PREMIUM VALUE. Wine Australia’s ‘Next Chapter’ research project funded by The Grape and Wine Research and Development Corporation of Australia, is pleased to announce the results of a major U.S. trade survey conducted by Wine Opinions following outreach to Importer, Distributor and On/Off Premise account respondents earlier this year. Which Australian wines are best positioned for growth on the U.S. market? What are the attributes of these wines that make them appealing to trade and consumers? · Australian wines’ most promising attribute, identified by all tiers of the trade, is the variety of quality wines produced that express the terroir of Australia’s diverse wine regions. · The quality to price ratio Australia offers is still a top attribute. Value at all price levels was believed to be a key market driver. The trade believes that consumers today are looking for value in mid-priced wines where they feel more confident they will find quality. Trade respondents have very high regard for Australian high-end wines. They see Australia producing wines in styles unlike the “fruit bombs” on which their reputation was built. · Inventories of Australian wines are now slowly rebuilding after reaching a comfortable level through forecast accuracy, reducing “safety stock,” dropping unsuccessful Australian wines and purchasing less. · New product introductions, sweet wines and new blends from Australia, have boosted inventory. “These survey results demonstrate a very exciting validation of the trade’s recognition for – Australia’s premium, regional offerings” stated Angela Slade, Wine Australia Regional Director, North America. “This very important research further substantiates the growing interest, support and genuine feedback we have received directly from Wine Australia’s community of importers, distributors, restaurateurs and retailers” Slade continued. Building on this positive sentiment, Wine Australia just concluded its inaugural ‘Savour Australia’ – the biggest and most comprehensive Australian wine forum ever undertaken. Held from September 15 – 18, 2013 in Adelaide, the event was a complete immersion into the Australian wine industry with business sessions presented by some of the world’s most-renowned authorities on wine, consumer trends and retailing; themed lunches and dinners prepared by some of Australia’s top chefs; a Grand Tasting featuring 170 Australian wineries; plus Landmark wine tastings presented by Australia’s leading winemakers and international personalities showcasing Australia’s ultimate wine offerings from the past, present and future. Savour Australia attracted more than 750 attendees including 75 participants from North America many of whom contributed as Savour Australia guest speakers and panelists. “With an improved sentiment shift in the US and increasing recognition of quality Australian wines, the time is right to remind the U.S. wine trade and consumers about our innovative and high quality wines” stated Wine Australia’s General Manager, James Gosper. Wine Australia’s upcoming actions for the U.S. market will be based on the key learning’s of this research project, and will feature multiple retail and restaurant trade promotions as well as a new consumer outreach effort in partnership with Tourism Australia. Trade education will continue to play a major role in Wine Australia’s activities. Wine Australia Education Director, Mark Davidson is offering customizable and tailor-made education programs for importers, distributors and trade, each crafted to accommodate the varying needs of small, mid-size and large wineries. For more information on Wine Australia’s education programs please contact Mark Davidson, Wine Australia Education Director: usa@wineaustralia.com. Life is Beautiful Festival has l released more details about its kick-off party featuring musical performances by Dawes and Todd Rundgren. 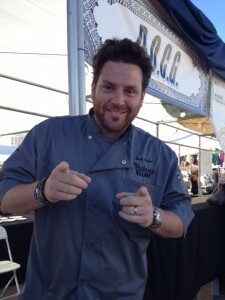 On Friday, October 25, 2013, from 8pm – Midnight, 16 celebrity chefs will come together to participate in “Grills & Guitars,” a celebration of the beloved backyard barbecue combining creative open flame cookery with craft brews, artisanal wines and original cocktails created by some of the country’s finest mixologists. 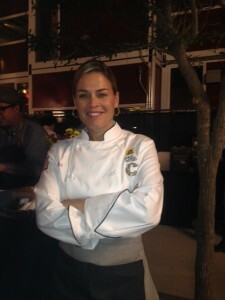 Participating chefs, including Clayton Arakawa, Bruce & Eric Bromberg, Kim Canteenwalla, Scott Conant, Cat Cora, Susan Feniger, Mary Sue Milliken, Rick Moonen, David Myers, Aarón Sánchez and Jet Tila, will serve dishes like Whole Roast Goat Enchiladas, Shrimp and Sugar Cane Skewers and Whole Hawaiian Pigs smothers with Big Island Hearts of Palm. Special appearances will be made by chefs Tom Colicchio, Nancy Silverton and Michael Symon. Tickets are available for purchase here; Price: $175, VIP $225 *Does not require purchase of a festival ticket, must be 21 or over. VIP tickets include: Exclusive VIP lounge with shade, lounge seating, activities and more; Viewing Areas at Main Stages; VIP restroom facilities; Access to special VIP food concessions; Access to special VIP beer, wine and spirits concessions; Commemorative Poster and more. Three Caesars Entertainment Restaurants Earn 2013 Wine Spectator Awards,Restaurant Guy Savoy renews its Grand Award; Old Homestead garners its first Award of Excellence. It’s all about the wine! 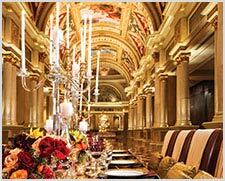 , Restaurant Guy Savoy and Old Homestead at Caesars Palace and Gordon Ramsay Steak at Paris Las Vegas have been honored in Wine Spectator’s 2013 Restaurant Wine List Awards. Restaurant Guy Savoy has successfully renewed its coveted Grand Award, Old Homestead earns the Award of Excellence for the second time and Gordon Ramsay Steak is proud to be a new recipient of the Best of Award of Excellence. Wine Spectator’s Restaurant Wine List Awards are earned based on the wine list’s selection, its pairing with restaurant cuisine and the general appeal to wine lovers. Wine lists are judged on a variety of criteria including vintages and appellations for all selections, complete producer names and the presentation and appearance of the list. The Grand Award winners, representing the program’s top echelon, typically offer 1,500 or more selections and feature a serious breadth of top producers, outstanding depth in mature vintages, large-format bottles, superior organization, presentation and wine service. Best of Award of Excellence winners carry over 400 selections with superior presentation and a broad selection. Restaurants that win the Award of Excellence offer wine lists with at least 100 selections from quality producers and match the menu in price, style and theme. Six-time winner of the Grand Award, Restaurant Guy Savoy at Caesars Palace offers gourmet dining from French Chef Guy Savoy in his only U.S. dining establishment. The two Michelin star and Forbes 5-star restaurant features amazing prix-fixe menus and a la carte options including signature dishes like the silky artichoke and black truffle soup and the decadent colors of caviar complimented by an impressive wine list and dessert cart. Restaurant Guy Savoy is open Wednesday through Sunday from 5:30 p.m. to 9:30 p.m. The Best of Award of Excellence winning wine list at Gordon Ramsay Steak at Paris Las Vegas is led by Sommelier Jeff Eichelberger. Open just over a year, the restaurant’s initial wine list was straight forward, conservative and developed slowly as the wine team observed the seasonal menu changes and the interests of guests. The list is focused on wines that interest guests and work well with Ramsay’s menu. The menu is a blend of established vintners with wide appeal and wines of highly limited allocations allowing constant development. Using this approach, the wine list has practically tripled in size since opening, swelling from 225 selections to 600 currently with a special emphasis on growing the fine and rare sections while maintaining choices in a wide array of price levels. 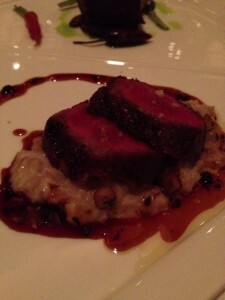 Gordon Ramsay Steak opens at 5 p.m. nightly; to make a reservation, call (877) 796-2096. Award of Excellence winner for the second year in a row, Old Homestead Steakhouse at Caesars Palace, is one of New York City’s most historic restaurants. A classic eatery known for its quality steakhouse selections and legendary history, Old Homestead features mouth-watering dishes from the classic New York menu. Robb Report named the restaurant’s signature 26-ounce bone-in, 30-day dry-aged Gotham rib one of Las Vegas’ seven best steaks in its August 2012 issue. Boasting more than 16,000 square-feet, the space features a total of 250 seats with a full dining room, private dining room, lounge and bar. Old Homestead Steakhouse is open daily from 5:00 p.m. to 10:45 p.m.
Arroyo Seco Celebrates 30 Years as an American Viticulture Area (AVA) . With world-renowned terroir ideal for producing complex and concentrated Chardonnay and Pinot Noir, Monterey County’s Arroyo Seco district celebrates its 30th anniversary as an American Viticulture Area (AVA) this fall. One of the first areas in Monterey County to be distinguished as a unique winegrowing region, and one of the smallest in California, the Arroyo Seco AVA had already been recognized for growing outstanding wines – Chardonnay in particular – since the 1960s. Factors such as a cool climate influenced by nearby Monterey Bay, well-drained rocky soils, extreme winds, and experienced growers have combined to make wines from the Arroyo Seco AVA some of the most sought-after and awarded in the country. In 2007, the Arroyo Seco Winegrowers & Vintners Association was established to promote the district’s distinguished terroir and wines. Headed by Michael Griva of F&G Vineyards, the association has made great strides in defining and celebrating what makes this district so special. “I grew up among the greats of the Arroyo Seco AVA,” said Griva, “people like Karl Wente, Rich Smith and Jerry Lohr. It’s been a pleasure to promote their vision for what makes Arroyo Seco stand out, and to support their legacy of incredible wines grown by people who are passionate about its terroir. Interesting Wines featured in an evening of cuisine, Wine,Books and Angels with Iconic Chef Charlie Palmer. 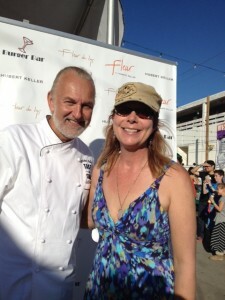 Las Vegas has no shortage of celebrity chefs, perhaps one of the biggest names throughout the world is Chef Charlie Palmer. This renown Chef ,restaurateur , author and television host has collected a plethora of awards ranging from a James Beard award and coveted Michelin Guide stars just to name a few . Recently we visited with this iconic Chef at his Michelin award winning restaurant Aureole in the Mandalay Bay Resort in Las Vegas. Charlie has been a fixture in this culinary epicenter for many years. Always keeping things fresh , He was in town to launch his new cookbook , Camp Cooking and to show off the new “wine angel “ costumes that are shall we say , pretty delightful to say the least . Arriving at Aureole we were escorted to a private dining area where we were met by none other than the legend himself and settled into what would become an evening of signature dishes prepared by Charlie and a selection of wines that caused us to do some serious research on indigenous varietals from Spain, France and Austria. 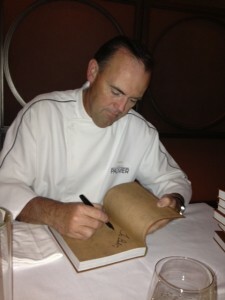 Chef Charlie Palmer has been known for years for his Progressive American Cuisine built on big flavors and surprising combinations with an infusion of classical French technique.Today, a big “buzz word” is farm to table cuisine. 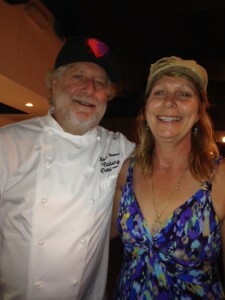 Chef Charlie Palmer explained that he was an early advocate of farm over factory food. In 1988, he made a commitment to creating dishes featuring regional American ingredients at his three-star Aureole Restaurant in New York City. 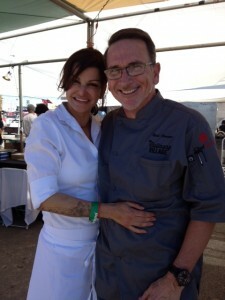 It was now time to enjoy some of this renowned cuisine prepared by Chef Charlie just for us. Our first course was a succulent Santa Barbara Spot Prawn Duo paired with Txomin Etaniz Txakoi, Hondarribi Zuri, Getariako Txakolina, Spain 2012. Our second course featured a lovely Seared Loup de Mer & Stuffed Calamri a’ la “Setoise” joined by a very nice Moulin de Gassac, Picpoul de Pinet , Languedoc, France 2011. 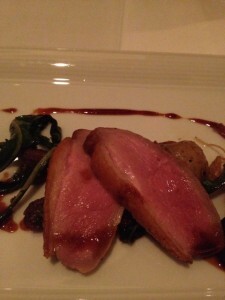 Keeping the culinary hits coming, Charlie Palmer delivered a perfectly prepared Roasted Moulard Duck Breast with sautéed dandelion greens,bing cherries and muscat jus paired with a Schloss Gobelsburger , Zweigelt, Kamptal , Austria 2010 that was a perfect marriage of cuisine and wine. 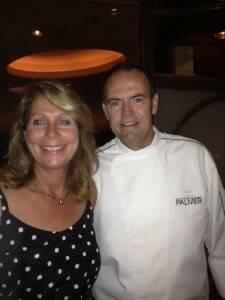 Three courses of gastronomic artistry and Chef Charlie Palmer still had one more treat for us. A beautiful Roasted Oregon Wagyu Beef Strip Loin with braised beef cheeks,barley and porcini mushrooms and a Chene Bleu Heloise, Syrah/Grenache/Viognier , Rhone Valley, France 2007.Pastry Chef Megan fished off our evening with a rich Roasted fig and Goat Cheese Cake with chicory ice cream and a Toro Albala,Don PX Gran Reserva, Pedro Ximenez,Montilla-Moriles, Spain 1985. The evening was not just about great cuisine from Chef Charlie Palmer and his kitchen but also about his new cookbook, Camp Cooking. 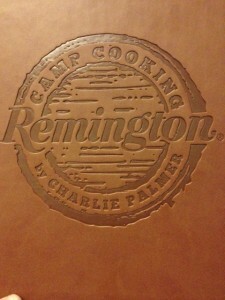 This leather bound book complete with a Remington stamp is all about cooking and eating outdoors compete with selections from the Remington Arms Art Collection and is a must for any kitchen and lovers of the great outdoors. Charlie Palmer is always keeping things fresh and his wine angles are no exception.The wine angles have been soaring for years overseeing almost 10,000 bottles of wine are stored in the iconic tower. The “angels” ascend and descend the climate-controlled, stainless-steel columns on mechanical hoists fetching wine for their guests. They how have new uniforms that make them very hard to miss with new two-piece outfits outfitted with more than 100 LED bulbs. “We were often given feedback by our guests that they were hard to see in the tower, so we really wanted to make them shine, now they have a uniform that suits the excitement of their job “stated Charlie Palmer. The new uniforms are a creation of Las Vegas fashion designer Bunker Hill Bradley, who won a competition among local designers.The uniforms feature a progression of colors that symbolize the hues found in various wines and they made of recycled materials. Charlie Palmer’s new cookbook and new wine angel uniforms show this iconic Chef is not afraid of innovation or invention which keeps him and his Charlie Palmer Group at the forefront of the culinary industry around the world.